The commercial heirloom is a variety that is open pollinated. It was first introduced before the 1940. The family heirloom is the seeds that have been passed down for a few generations in the family. This type of heirloom is created from two different parents originated from the other heirlooms or one heirloom and one hybrid. The seeds were dehybridizing for so many years and so many generations in order to be able to erase the unwanted characteristics and at the same time to stabilize those desired characteristics. This process can take at least 8 years. This type is called mystery because it is the product that may be resulting from the natural cross pollination between heirlooms and the results of this natural process is often unknown. As for the use of heirloom term, it began when Kent Whealy from the Seed Savers Exchange use it during a speech in Tucson in 1981. But, this is not the first time the term is used. In fact, Kent Whealy had asked for John Withee’s permission to use the term as John Withee had already used the term on the cover of his catalogue a while back. To Kent Whealy’s surprise, John had agreed to the request and said that he had used the term because he took it from Prof William Hepler. He is a professor in the University of New Hampshire to describe a few beans to some friends in the 1940s. So the word heirloom itself has been used for so many years and was invented by a professor in a semi private discussion. Needless to say, however, that each heirloom is unique in term of its gene. Mostly its uniqueness is because it has the ability to resists pests and other diseases. The heirloom is also developed to be able to survive and thrive in different seasons in order to be able to be planted in different areas. 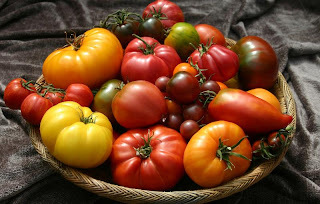 Those are among the characteristics that made the heirloom famous and the farmers love them.